Other conditions associated with blind spots and other visual field defects include diseases of the retina, optic neuropathy, brain tumors and stroke. During a routine eye exam, your optometrist or ophthalmologist may recommend visual field testing to assess the full horizontal and vertical range and sensitivity of your vision. These "baseline" visual field test results can then be used to assess potential changes in your visual field in the future. 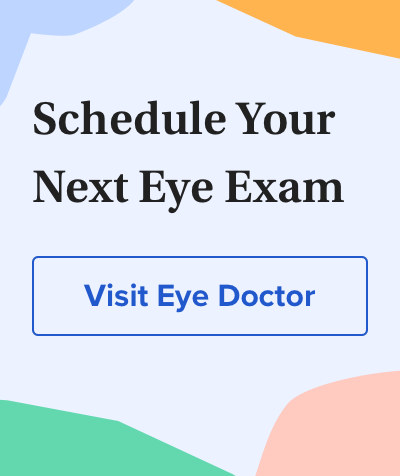 If you haven't yet had a comprehensive eye exam and visual field test, click here to find an eye doctor near you. Confrontation visual field testing typically is used as a screening visual field test. One eye is covered, while the other eye fixates on a target object, such as the doctor's open eye, while the doctor stands or sits directly in front of you. You then are asked to describe what you see on the far edges or periphery of your field of view. As an example, your eye doctor may hold up different numbers of fingers within your peripheral field of view and ask how many can be seen while you continue to fixate on the doctor's eye. Automated Perimetry. Various forms of automated perimetry tests measure your responses to the presence of objects in different areas of your field of view. While your head is held still, usually with a forehead and chin rest inside a large bowl-like instrument, you stare at a source of light straight ahead and tiny lights of different intensities are flashed from random points in your visual field. Each time you see one of these lights, you immediately press a button or use some other means to indicate your response. If you can't see the lights in certain parts of your field of view, then you may have a blind spot indicating vision loss. Frequency Doubling Perimetry. Frequency doubling is based on an optical illusion produced with vertical bars of contrasting colors (usually black and white) appearing on a screen. These bars appear to double in number when they alternately flicker at higher frequencies, a phenomenon thought to be due to the unique response of specific light-sensitive cells (photoreceptors) in the retina. Inability to see vertical bars at certain frequencies could indicate optic nerve or other types of eye damage with accompanying loss of vision in certain areas of the visual field. Electroretinography. This test measures electrical activity generated by the photoreceptor cells in the retina when the eye is stimulated by a special strobe light or a reversing checkerboard pattern of light. The measurement is captured by an electrode placed on the front surface of the eye (cornea), and a graphic record called an electroretinogram (ERG) is produced.Electroretinography is useful in diagnosing several hereditary and acquired disorders of the retina, including retinitis pigmentosa, a detached retina or functional changes in the retina caused by arteriosclerosis (hardening of the arteries) or diabetes.